Last year was a huge one for investment in digital health. Venture funding for digital health companies reached $4.2B in 2016. That’s down 8% from 2015, but there were a record number of deals in 2016 and the investment total was double the total from three years ago. There were 304 deals across 296 companies, closing with a lower average deal size of $13.8M, according to research by Rock Health. Investors clearly have an appetite for digital health companies. It took 13 years to create the first DNA sequence, but now computers can sequence a human genome in hours and the cost is falling rapidly. This has led to a giant leap ahead in the field of genomics and opened the door to a host of healthcare and pharmaceutical applications. In the future, we will probably look back at the practice of prescribing the same treatment to everyone with a certain condition and think it was silly. This is because we will have the ability to tailor treatment for every person based on their genomic data and their disease. Even now, for some conditions, we are able to predict which course of treatment is likely to be the most effective for a given individual. Needless to say, this new frontier of medicine is a place where innovative companies and products can thrive. Investors are paying attention. In 2016 alone, $410 million was invested into sequencing technologies including hardware and software. Healthcare is benefiting from several big developments in data management: data collection through electronic medical records; data sharing; improved data analysis; and more types of data being collected due to the rise of wearable healthcare devices and other telehealth technologies. Big data and advanced analytics bring the ability to examine trends, track the health challenges of various populations, predict which patients can benefit from preventative measures, guide hospital staffing levels, and improve patient outcomes. Investors are excited by the possibilities. In 2016 $341 million was invested in data aggregation and analysis technologies to support a broad range of healthcare use cases. We mentioned wearables for health monitoring earlier. According to the National Center for Biotechnology Information, “These biosensors provide vital signs monitoring of patients, athletes, premature infants, children, psychiatric patients, people who need long-term care, and people in impassable regions far from health and medical services, and they are significantly effective in the prevention, timely diagnosis, control, and treatment of diseases.” The potential of this type of technology to transform healthcare extends way beyond your Fitbit. The wearable technology market is expected to rise from $20 billion in 2015 to close to $70 billion in 2025, led by the health care sector. That explains why there were $312 million dollars invested in wearable biosensing devices for consumers and related software in 2016. 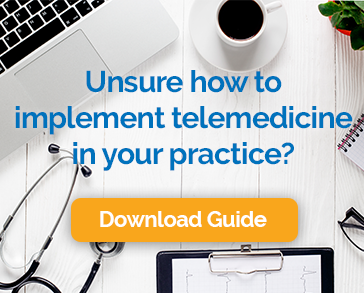 Telemedicine allows healthcare providers to assess, diagnose and treat patients who are at a distant location using telecommunications technology. This method of care is becoming an increasingly important and ubiquitous part of the healthcare landscape in the United States. The ability to conduct visits via video has tremendous advantages for patients and providers alike. Patients eliminate the time and cost associated with a trip to the office, reduced wait times, and better health outcomes. Practices benefit from increased revenue, more flexibility, and reduced burden on office staff. The business of telemedicine is huge. 2016 saw $287 million investment dollars flow into the telemedicine space. One often overlooked trend in medicine is the migration of medical expertise into intelligent devices that are targeted not to replace trained physicians but to help spread their knowledge and services to a wider number of patients at specific levels of care. Digital medical devices span the gamut from programmable pacemakers to laser surgical devices. They include diagnostic products, test kits, ultrasound products, x-ray machines and medical lasers. Investors see the continued explosive growth in this area and ponied up to the tune of $268 million last year. Population Health Management is a subset of big data analytics. It involves the aggregation of patient data across multiple health information resources, the abstraction of that data into a single, actionable patient record, and the steps through which care providers can improve both clinical and financial outcomes. It seeks to improve the health outcomes of a group by monitoring and identifying individual patients within that group. The goal is to improve health outcomes while at the same time, reducing costs. How much is that worth? Investors poured in $198 million in 2016. Despite uncertainty about the future of the Affordable Care Act, investors seem game to continue to fund companies looking for the next big breakthrough in digital health technology. That’s great news for startup founders and employees and for the patients who will ultimately benefit from this onslaught of innovation.